Deal, N.J., passed an ordinance last year that would vacate the end of an oceanfront street in return for a $1 million payment from a nearby landowner who wants the property. 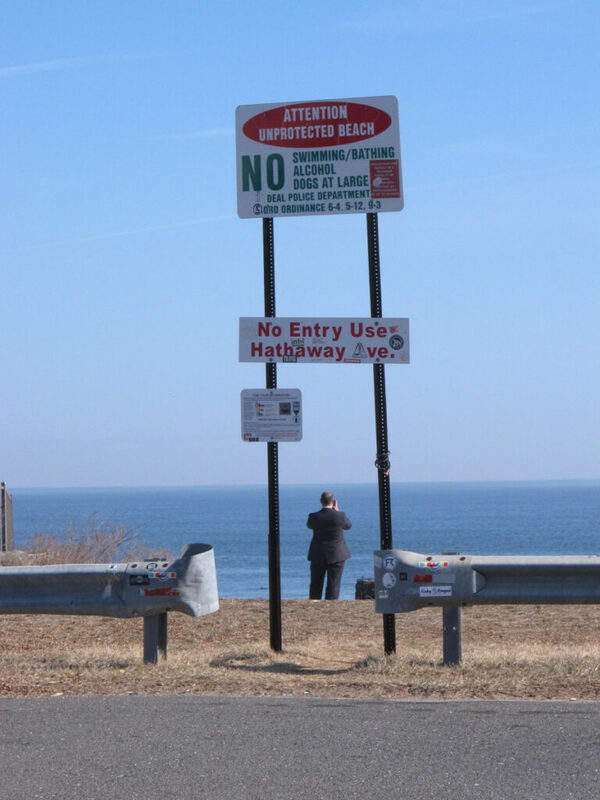 The group, which has fought for decades to preserve the public’s right to access and use public beaches, fears a dangerous precedent may be set in which coastal towns sell street ends to private landowners. The new owners might then block off spots the public has long used to reach the sand, according to access advocates. “It’s definitely not fair what they’re doing,” Schwartz said as he peeled off his wet suit and put his surfboard away. Deal says no physical barrier will prevent people from walking out onto the rocks and the sand even after the street end is vacated. In Maine, a similar battle is playing out over an undeveloped stretch of road with waterfront access rights in Cape Elizabeth. Residents who live near Surf Side Avenue have sued the town in hopes of preventing it from ever building a public path on the so-called “paper street.” They offered to pay $500,000 for the town to vacate its rights to the land, but the Town Council rejected it. New Jersey’s law regarding beach access is based on legal principles dating back to the Roman Empire, in which the tidal waters and beaches are held in trust for the public. Deal counters that the end of Neptune Avenue has never been an official beach access point.